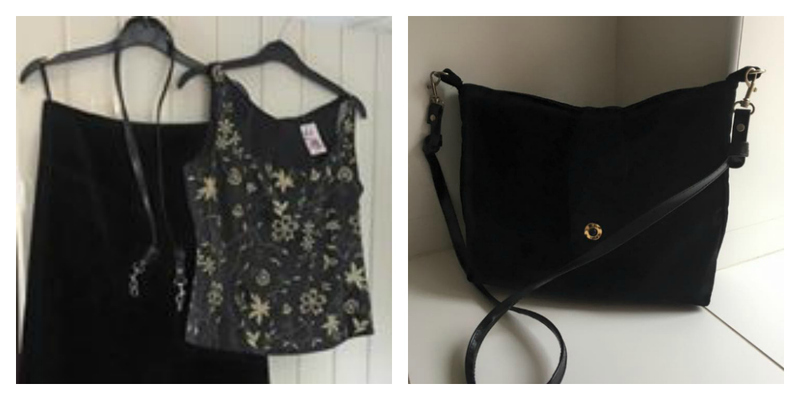 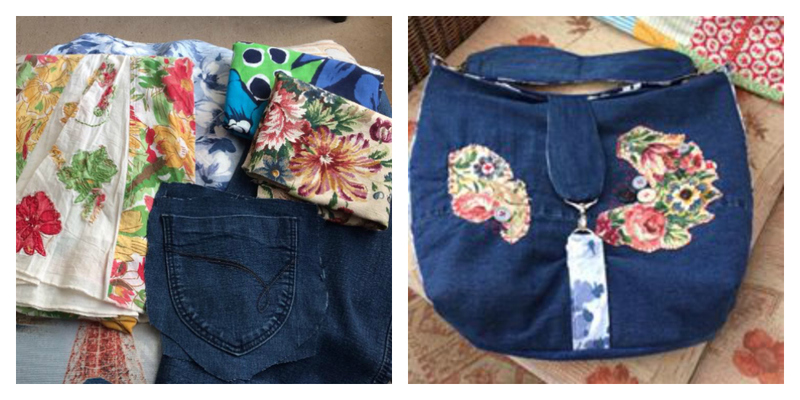 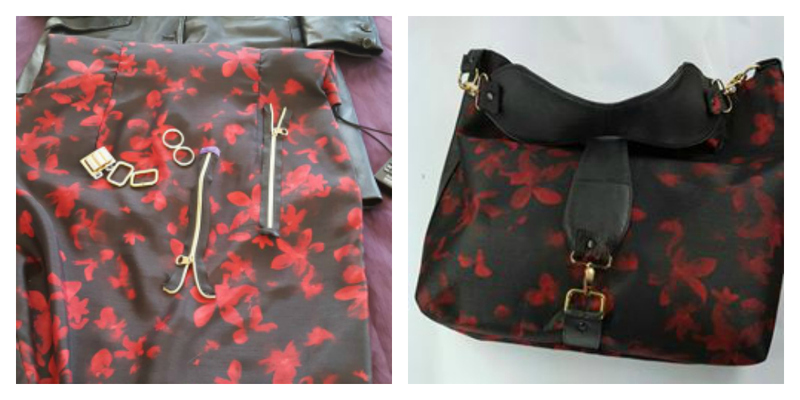 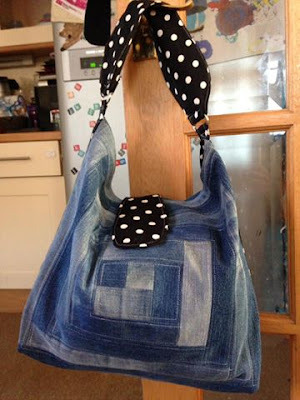 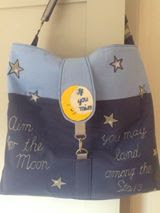 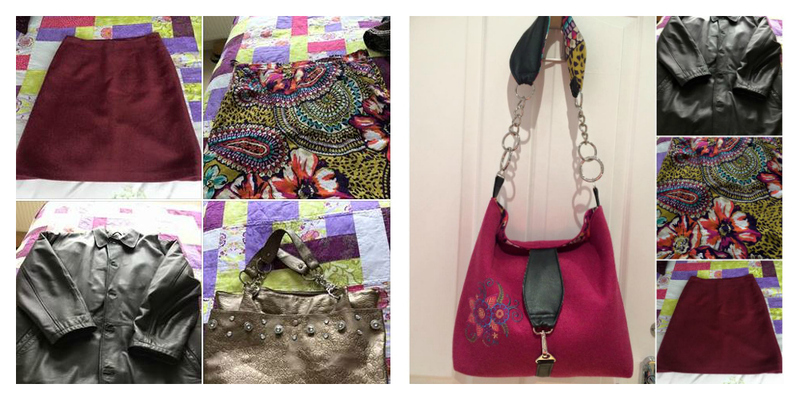 To make a HOBO bag using upcycled, preloved fabrics and hardware, showing the items before you cut them, be creative and above all, have fun! 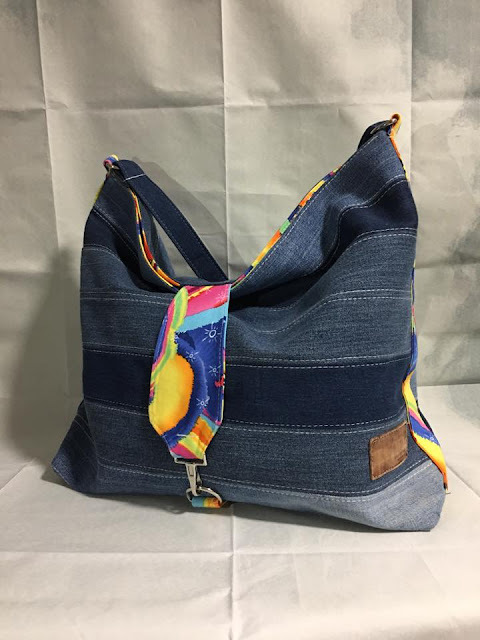 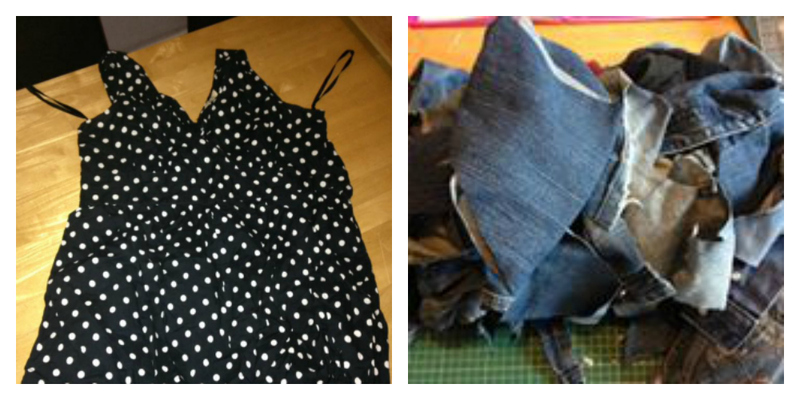 Leanne Borland, making this fantastic patchwork denim Hobo! I've loved seeing the creativity of these ladies - using whatever they can lay their hands on to create perfect Reversible Hobos! You can get the pattern here.